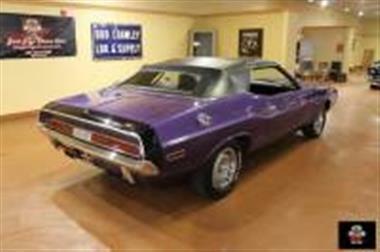 1970 Dodge Challenger in Orlando, FL for sale. 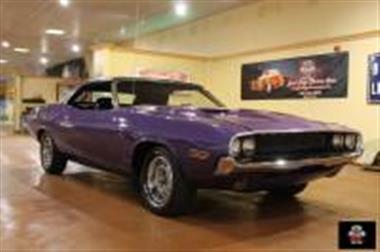 Just Toys Classic Cars is proud to bring you another great piece of Mopar muscle. 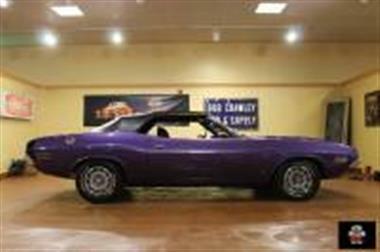 Right here is a 1970 Dodge Challenger Convertible R/T tribute. Mopar back in the day and still to this day hold a special place in peoples hearts. You will hear them say Mopar or no car all the time. It is a die hard following. This piece here is one that should be in one of their garages right away. 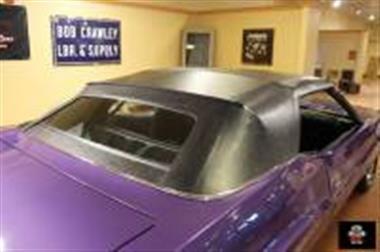 This car was born green and now has an awesome Plumb Crazy Purple paint job on it. The fit and finish are in great shape as well. As we mentioned in the headlineand#44; this is an R/T tribute. This is a perfect way to get in to a great Mopar for a great price and be able to drive it around and enjoy it. Real R/Ts are well in to the six figure range these days. Dont miss an opportunity.</p> <p>The interior of this car was born white and has all been redone in the beautiful black that you see right now. This is a great car that you will not find any rips or tears on and the power top is new as well. 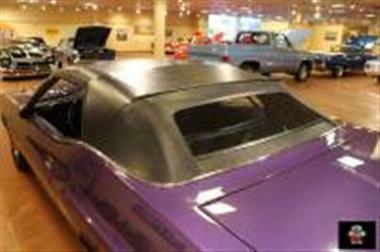 This is one of those cars that if you didnt look at the tag you would swear is the real deal it is done so well.</p> <p>Under the hood is where all the fun is on this car. This car was born with a 318 and now has a very nice 340 in it that is mated to a 727 transmission. This had been done about 10 years ago so the miles you see on the odometer are what is on the car from originaland#44; not since it was redone. As you will see in the undercarriage picsand#44; this car is as clean underneath as it is on the top. The long tube headers and flowmaster mufflers make this car sound as sweet as it looks. This car has been in the same family for over 34 years. Nowand#44; it needs to be in your family garage and make some new memories.</p> <p>We offer classic car financing for those that would like to take advantage of the option. The offer great rates and terms with as little as 10% down and no prepayment penalties. This way you can get the car of your dreams and not have to take all the cash out at once. We look forward to speaking with you soonand#44; and we look forward to making you the newest member of the Just Toys Classic Cars family. <br /> DISCLAIMER:</p> <p>Before you buy any vehicleand#44; sight unseenand#44; it is very important to ask as many questions as possible to make sure you are getting what you expect. The majority of the customers that buy vehicles from us are very happy with their purchases. We recommend that you should inspect cars in person before or have a professional appraisal company of your choice evaluate this vehicle and provide documentation to you at your expense before buying any vehicle from our company. Our description of the vehicle including options and all documentationand#44; provenance have been given to us by the current owner and we make no claims or misrepresentations as to the condition of the vehicle or the options as listed on the ad including the description and documented with the photographs and video for this vehicle. 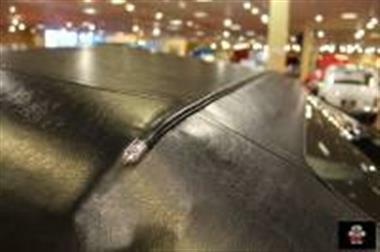 All vehicles are sold AS/IS Where Is with no expressed or implied warranties. 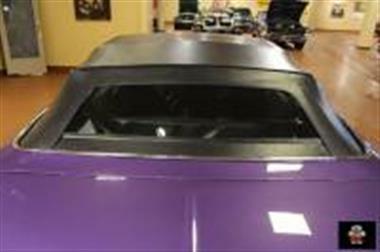 Just Toys Classic Carsand#44; LLC represents this vehicle and all vehicles in our inventory solely based on the information and documentation provided to us by the current owner or owners representative. We assume no responsibility or liability based on the current condition of this vehicle or any repairs or modifications or changes you make to bring the vehicle to your standards. I hereby agree to hold harmless Just Toys Classic Cars LLC and their agentsand#44; ownersand#44; officersand#44; and managersand#44; or employeesand#44; and all other persons or entities acting in any capacity on their behalf collectively referred to as Just Toys Classic Cars LLC. Upon review of this disclaimer and purchase of this vehicleand#44; all sales are final upon receipt of all funds rendered and bill of sale delivered. You agree upon reading and understanding this disclaimerand#44; there are no exceptions regarding this transaction. 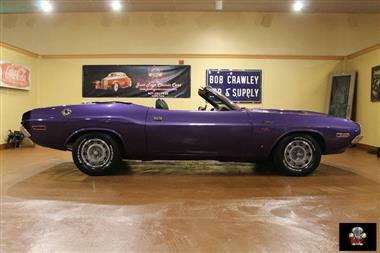 This vehicle is priced $23,126 less than the Average Market Price of $81,121 for a 1970 Dodge Challenger. This is a Good Deal as it's priced 29.0 % below market avg. The Pie chart below shows the number of ads within different price ranges.